My time in Oklahoma is winding down. of The Salvation Army. SPOILER ALERT: If you do not like The Salvation Army, then this blog post will not be something you want to continue reading. I love The Salvation Army! We are the Army of the One! My Army talks to people. My Army prays with people. My Army cares about people. My Army works for people. My Army witnesses to people. My Army prays for people. My Army stays with people. My Army stands up for people. My Army is an Army of the One! “Each of you should use whatever gift you have received to serve others, as faithful stewards of Gods grace in its various forms” (1 Peter 4:10 NIV). I love the people of my Army! I love the Head of my Army! “And he (Christ) is the head of the body, the church; he is the beginning and the firstborn from among the dead, so that in everything he might have the supremacy” (Colossians 1:18 NIV, parentheses added mine). 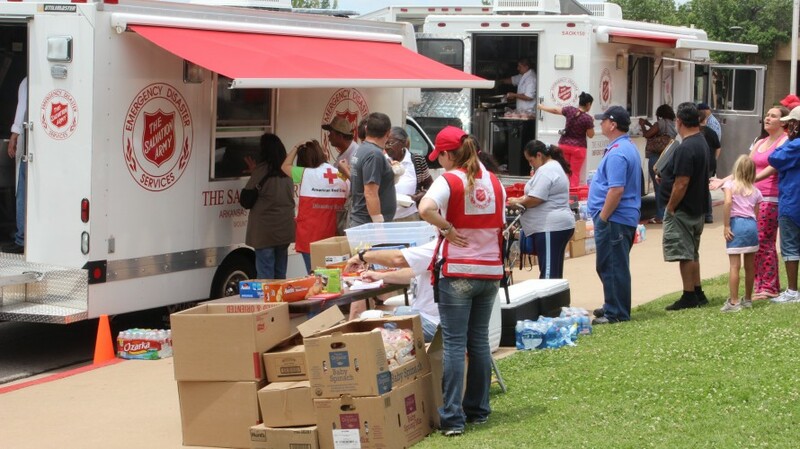 Consider donating to The Salvation Army Oklahoma Disaster Relief Fund! I can tell you I have seen first-hand where it has gone and still needs to go!